Large garden planter owned by the Kennedys. 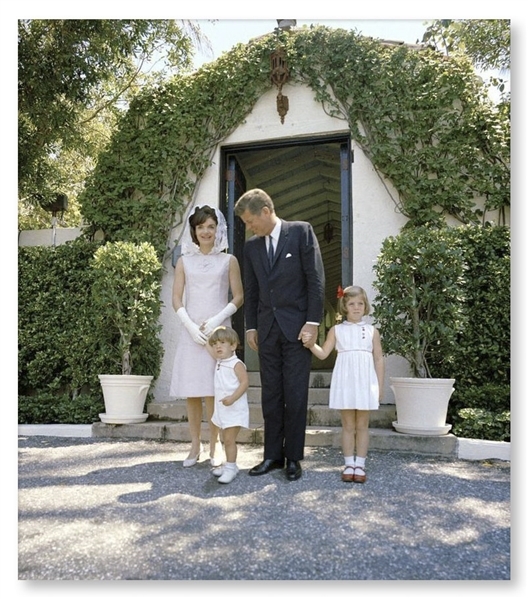 Planter was taken from the Winter White House in Palm Beach, Florida, a house owned by Joseph and Rose Kennedy, and used extensively by JFK and his family both before and during his Presidency. 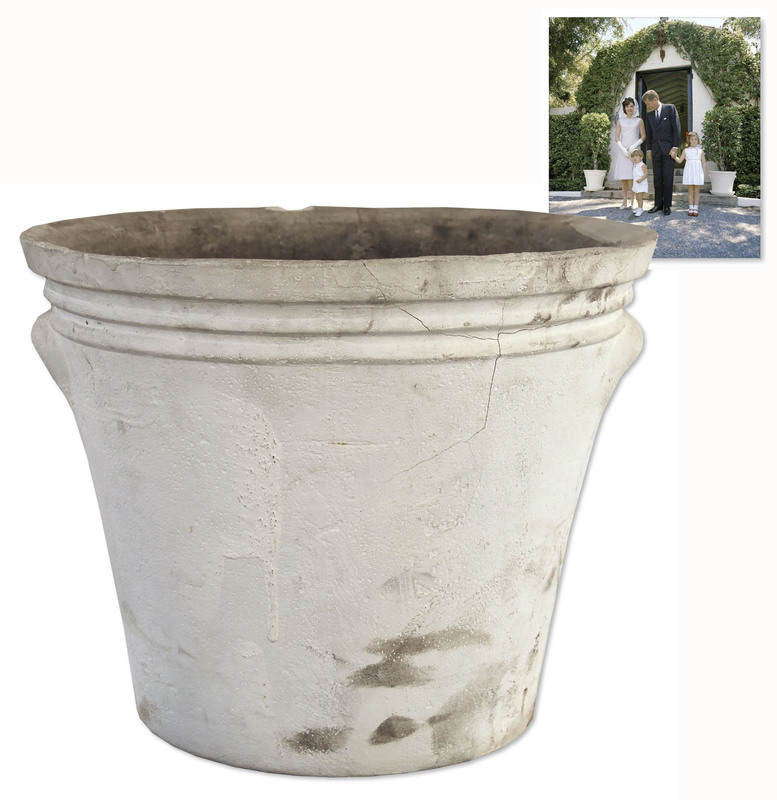 Concrete planter in off-white is painted a subtle putty color. Shape of planter flares from bottom to top and exterior features ringed rim and integral handles. A hole in the bottom provides for drainage. Measures 16.75'' in diameter across the mouth and 13'' in height. Weighs 30 pounds and 3 ounces. Wear and dirt from use to exterior and interior, minor nicking, a few closed lines of cracking to interior, not extending through to exterior and a shallow chip to the rim, overall very good condition.